As well as the excellent Métro system, Paris is served by an interconnected network of rapid-transit railways, known as the Réseau Express Régional (RER). This network also serves Orly Airport. Orly Airport is connected to the RER B train line at Antony train station by the Orlyval shuttle train (see below). Line B of the RER also interconnects with the Paris Métro. Tickets for the Métro (and local RATP buses) can be bought individually or in packs of ten (un carnet), which is cheaper. If you are staying in Paris for more than a day, think about getting a Paris Visite card or a pack. The first one gives you unlimited travel on most modes of transport as well as discounts at museums and other attractions. Orlyval is an automatic light metro that has only 3 stops: Antony Train Station and two at Orly Airport. 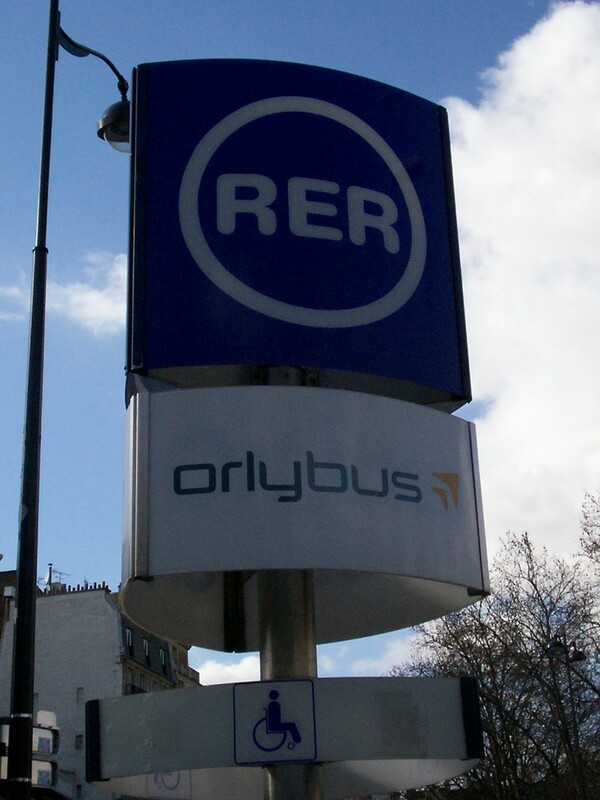 Is the fastest way to connect from Orly Airport to any mean of public transport, such as RER B line. - Paris - Orly airport South (Terminal S): entrance K.
- Paris - Orly airport West (Terminal W): entrance A Arrival level. Orlyval is free to use between both terminals, west (W) and south (S). Travel Time: 25-35 minutes. The trains operate every four to seven minutes. Opening hours: Daily, from 06:00 am to 11:35 pm. Fare: €13.25 (RER+Orlyval). Special fare for Orlyval: €9.30. A shuttle “GO C Paris” connects Orly Airport to the RER C train at Pont de Rungis – Aéroport d'Orly. - Paris - Orly South: gate C, stop 5. - Paris - Orly West: gate C, stop 7.